PLO's Erekat says removal of two Arabs from a flight due to security concerns is "reminiscent of apartheid". The Palestinian Authority (PA) leadership on Wednesday equated the incident in which two Arab passengers were removed from an Israel-bound flight due to security concerns with “apartheid”, and demanded the Greek government take action, reports AFP. The incident took place on Sunday, when two Arab passengers with Israeli documents were forced off an Aegean Airlines flight before it set off from Athens after Israeli Jews protested their presence. According to the airline, before the flight could take off, "an initially small group" of passengers "very vocally and persistently" demanded the two Arabs from eastern Jerusalem be "checked for security issues." After completing the security checks, "a much larger group of passengers" apparently began demanding the two Arabs be removed from the plane despite assurances from staff. 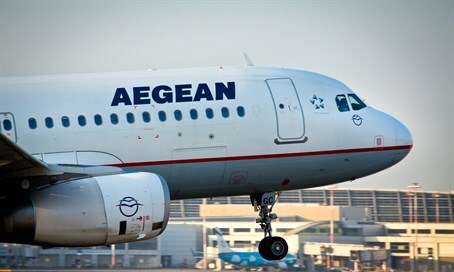 Aegean on Wednesday expressed its "greatest regrets for the event" and rejected "any possibility of discrimination" in an apology letter. "Our crew reacted to a very difficult situation only having the safety and comfort of all passengers in mind," it said, according to AFP. Israeli media identified the two as an Israeli Arab and a Palestinian, saying the protesting passengers were Jewish. The company said only that one of the men held an Israeli passport while the other had a valid Israeli residence permit, without discussing their ethnicity. But Saeb Erekat, Secretary-General of the Palestine Liberation Organization (PLO), said both men were Palestinians and called the decision to eject them "unjust and disgraceful." Meanwhile, a PA government official told AFP on Wednesday they would be raising the Aegean Airlines incident with Greek diplomats. Greece enjoys good relations with Israel, but several weeks ago its government also joined several other European countries in symbolically recognizing the “state of Palestine”.